Simple casual look with a little bit of glam. I love those square heels! I think I need a pair of Jbrands, they look marvellous! You go girl love those boots on you!! Love the two tone color of your booties. 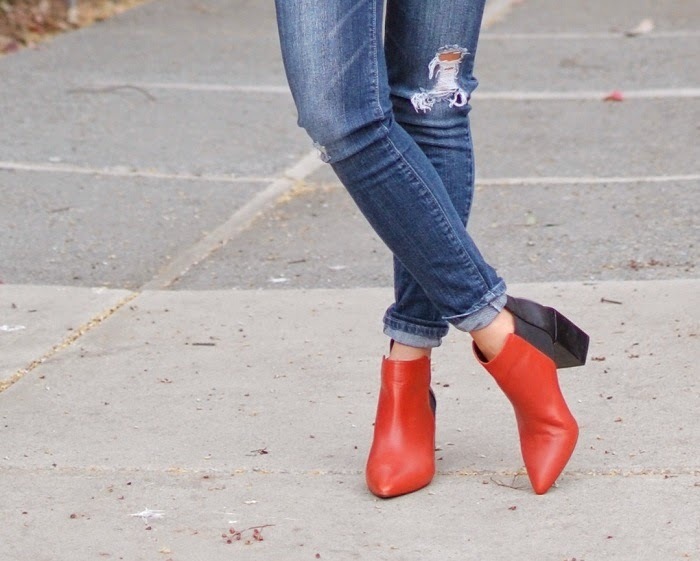 Love your Zara booties. I like that your outfit is casual because it makes your shoes stand out! Perfect casual look! Love the boots! Elles sont originales tes chaussures.